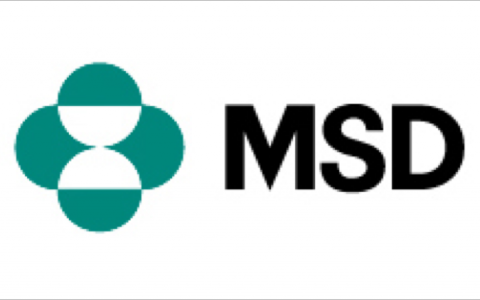 MSD Germany is part of one of the largest pharmaceutical companies in the world. George Merck, founder of the company and a brilliant scientist famously said, ‘Bring the medicines to the people and the profits will follow’. This philosophy of management created a sense of pride and meaning for staff in the more than 125 years that followed. Today, MSD Germany is the 4th largest operating unit in the company globally. After leading a hugely successful turnaround in the Australian business supported by TAP, Dr Susanne (Susi) Fiedler was promoted in 2016 to run the German subsidiary where she first started her career. The business was growing and performing well. The Leadership Team (LT) was very well regarded. The strategy being executed was developed by the LT in 2014 and it was viewed as relevant. Nevertheless, a CEO educated in the ways of transformation can quickly see beyond immediate success. Susi was concerned about significant gaps in the product portfolio on the horizon as patents expired. Leaders defined success by the results in their own function rather than the business as a whole, causing internal competition. Many leaders were frustrated with wasting time on activities that were not adding value. Tough discussions were often avoided and decisions on resourcing were not taken. With a pressure to perform, fun and laughter in the workplace was not always easy to find. Susi wanted an integrated approach to transformation while the business was still strong, and TAP was engaged in early 2016 to support this effort. Initially, our work focused on creating absolute strategic clarity on the things that matter. TAP drew on a large group of senior leaders and co-created a simple but compelling ‘one-page strategy statement’. Projects that did not add value were stopped and resources were reallocated to growth areas. Internal competition was addressed by creating a set of values and standards that described how team members would work together for the business as a whole. Leaders were measured regularly and given feedback on progress. The amazing 125-year company history led to a strong story-telling culture, mostly about the past. TAP led another group of leaders to create a story about the future. Leaders created a personal scorecard to align individual goals to the MSD Germany strategy. Leadership effectiveness was measured using a 360-degree survey to identify opportunities for change. The results were shared with the whole organisation. Accountability for change was reinforced through a quarterly review of scorecard goals and behaviours, with robust and transparent feedback. A structured coaching regime was put in place; first as a monthly 1-1 coaching session with the TAP partner; secondly with quarterly peer coaching groups to review each leader’s progress and suggest ways to improve. Symbols were identified to match and accelerate the LT’s desire for more transparency. A blog was created to share outcomes of LT meetings and circulated to all staff on the day of the meeting. Key meetings were reviewed to improve productivity and decision making. Challenging topics, such as structure and resource allocation, were addressed courageously. These substantial and complex challenges were successfully navigated and also approved by the Works Council. As momentum grew, Susi accelerated the work to impact the next layers of leadership. A group of internally capable leaders were given the knowledge and skills to coach an additional 200 leaders on a sustainable transformation journey. The Snowball was really rolling at this stage. A CEO well versed in the ways of transformation allowed TAP to stretch leaders to a strong degree and at all organizational levels. The response was one of the fastest and most dramatic transformations in TAP history. Sales and financial results continued to grow in an even more difficult product and market environment. Market share and profitability improved. The CEO attributed financial success to the shift towards constructive leadership. Employee engagement, already very high, increased even further. The regular measurement of values and standards showed improvements in trust, openness, simplicity, respect and honesty between 25 and 70%. Meetings became measurably more effective as decisions took less time and were implemented quicker. Leader effectiveness improved over 40% against the initial benchmarks. Alignment to the strategy dramatically improved through the quarterly scorecard review and internal competition reduced significantly. Increasingly, decisions were made in the interests of MSD as a whole. Organisation structure changes were implemented collaboratively and tough discussions on issues – the elephants in the room – were addressed simply and openly. As the momentum grew, the staff was impacted by the energy and effectiveness of the LT. People were getting more done with less effort. Fun and laughter returned to the workplace.